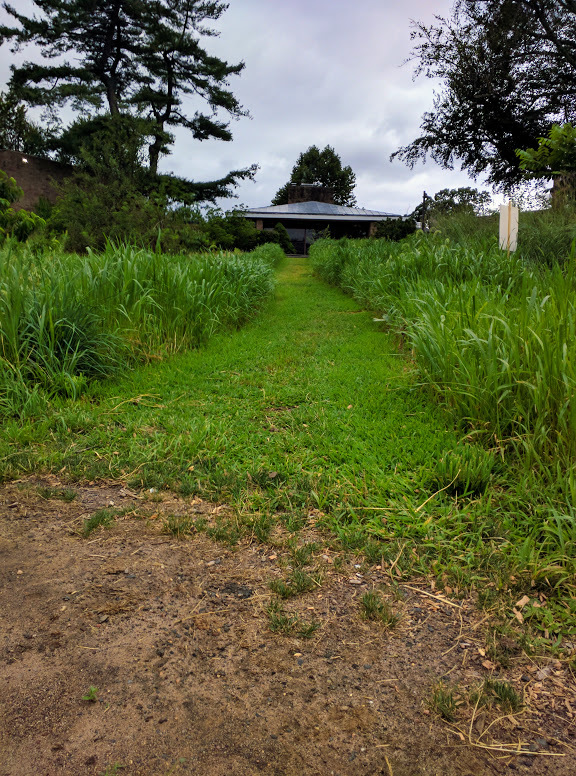 Aside from the one bluestone pathway that runs along the length of the south side of the WestCo Courtyard, all of our main pathways through the site are left to be trodden dirt paths intentionally. While this may not be as aesthetically pleasing as bluestone or even wood chips, it requires very little work (as students are constantly walking on it to stamp out plants that would grow there) unlike the bluestone which was labor intensive, and it is incredibly energy efficient/sustainable (as it requires no additional materials) unlike wood chips which have to be replaced every couple years to look fresh. WILD Wes made the decision to keep the main pathways dirt since the Summer of 2015 when it was apparent how difficult it would be to replace the decaying wood chips, how expensive it might be, and how often it would have to be done. Plus, this way, there can be a beautiful low grass path come summer which adds a whole level of natural beauty!